Saint Jahari of Willoughby (Dam) is an excellent dog, with a great disposition. Jahari is a chocolate female that weighs 60 lbs. She has a great temperament and is excellent around young children. Jahari is sired by Saint Colston of Centennial. We are very excited about this breeding and these pups should be excellent hunt and hunt test prospects as well as great family companions. The litter is AKC registered, dew claws removed, and all vaccinations up to date. Puppies will come with a 26 month health guarantee. Both parents have OFA hips/elbows certifications. 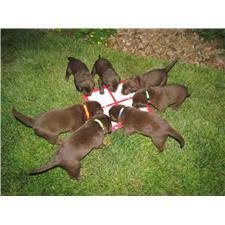 We currently have two chocolate males and four chocolate females for sale at $900 each. Whelped 7/5/18 they will be ready for their new home August 31st. We are currently taking deposits. 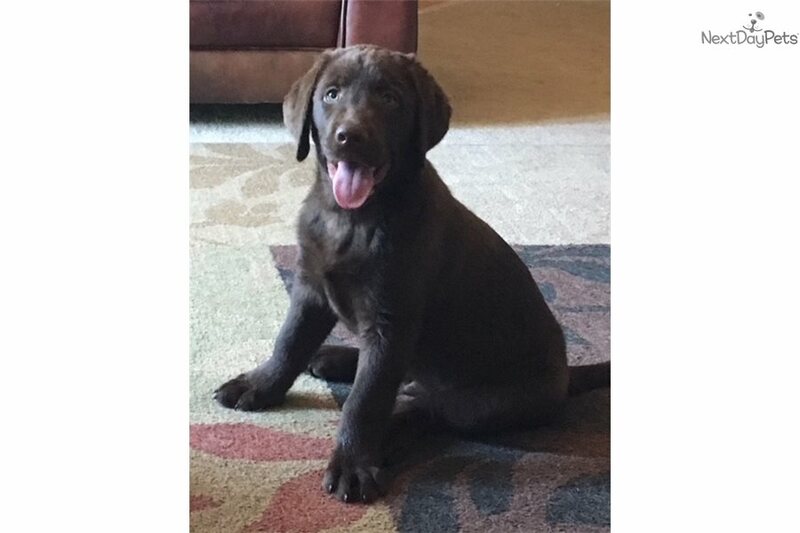 For more information on this litter please contact Mandi Christensen at 720-626-2072 or email at . Every pup we produce is very well socialized and hand reared from the moment they’re born until they go to their new home. They are cared for by my family, played with, and loved as much as possible. By the time each pup goes home they will have been exposed to a family environment, children, indoor and outdoor conditions.